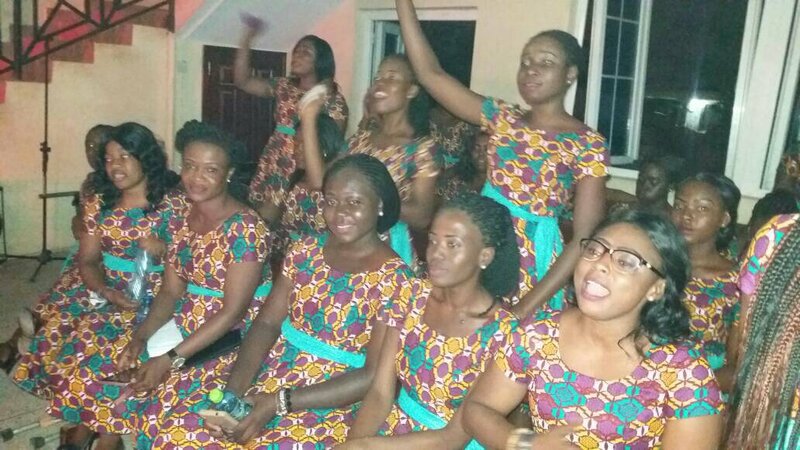 If you’re a regular follower of my blogs or a facebook friend, you’ll know that my dance and fitness ministry led me to Ghana last year, for the International Christian Dance Fellowship conference. It was the last day of five days of the conference when I met Daniel. 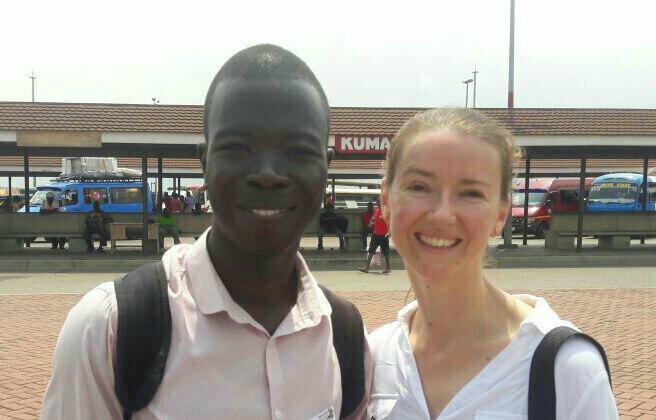 I had just danced with the Contemporary performance group in a makeshift performance area at a popular bus interchange and a friendly young man came up to chat with me. We found things in common like music and tv production and he told me that when he saw me dance he just felt in his spirit that he had to come and speak with me. I had a feeling too that perhaps God was linking us up for something important. I’m not sure who suggested the photo, but I’m glad we captured the moment. Daniel and I have stayed in touch. He’s an inspiring young man with a great future with God. I’m going to stop writing and let him and his ministry team introduce themselves and their ministry. 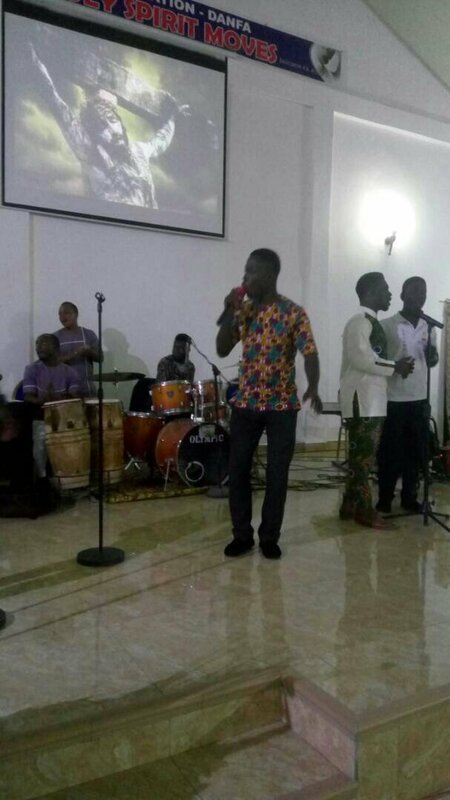 I am Daniel Asare Akoto, a worship leader and founder of Impact Worshippers Incorporated. Over the years my life was without meaning until I made up my mind to work for the Lord. I had the anointing but never used it. I believe God dwells in worship and for God to do anything He needs the kind of environment He is to do that. Our God is awesome and worthy of praise at any moment. As we worship things change. There is healing, outpouring of His spirit, chains of evil of any kind break off in the name of Jesus. I love the Lord. IMPACT WORSHIPPERS INCORPORATED is a spirit-filled music ministry embedded with evangelistic grace that pursues soul winning. 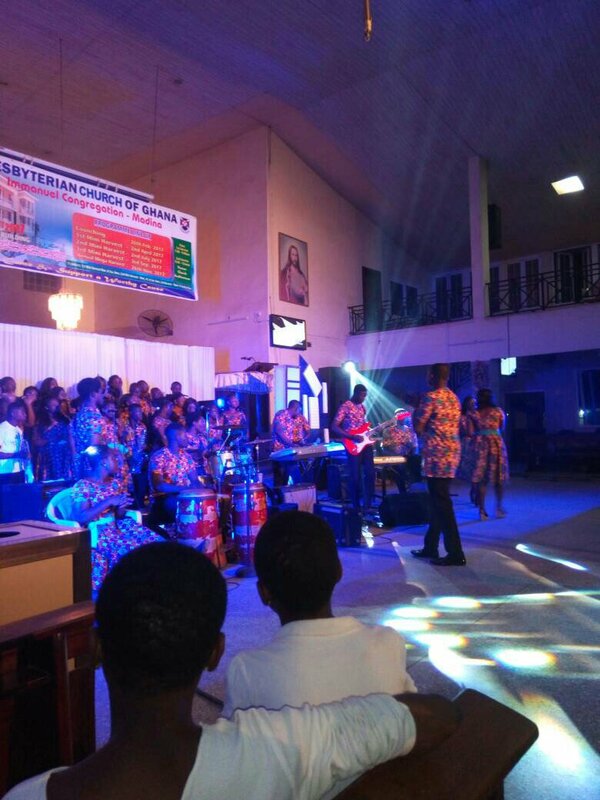 The vision of the ministry is redefining the true meaning of worship and gathering a host of worshippers (singers and instrumentalists). This year we want to reach out to the world to bring others to the saving Grace of Our Lord Jesus Christ through worship. For October 1st we are organising a program with this vision dubbed BACK TO GOD. It’s a music ministry with a vision to reach out to schools, deprived areas, events out of our area so we can spread the word of God through music. We believe that the Lord has opened His arms, welcoming His people and we must show them the way. Members of Impact Worshippers Inc. are young-spirited ministers, empowered by the word of God, from different churches with the same vision to lift the name of the Lord in music and win souls for the Lord Jesus Christ. Ben Worships. Praise and Worship leader. Singer, writer and Band Leader. I am Edinal with Impact Worshippers lnc. I worship because I am an instrument of worship, created of that. I am music and I speak worship. I worship at the Assemblies of God, Danfa. I love gospel music and I am a worship leader. There’s nothing more than true worship done in spirit and in truth. Leckson Michael Nii Adjei Qwame Nortey is the name. I stay at Adenta-Fafraha off the Dodowa Road. I am half Krobo, half Ga. My town is Somanya. I turned 20 this year. I don’t like using that name minister, but my purpose is to win souls for Christ. I am Ike, a minister of the Gospel. I minister through my God given talent (Drums) to convert people to Christ. I am a worshipper of God… For I know that it is through worship God rises from His throne… I worship for others to also find a cause to worship the maker of heaven and earth… I believe through my worship, lives have been transformed. I am a minstrel, a man who brings down the presence of the most high God, a man who leads the people of God to the upper room of the most high, making the children of God understand what true worship means to God. My worship and adoration invites God to rain blessings upon his people. I believe in the power of worship. I believe we don’t just draw near to God, when our hearts are right in worship God draws near to us too. 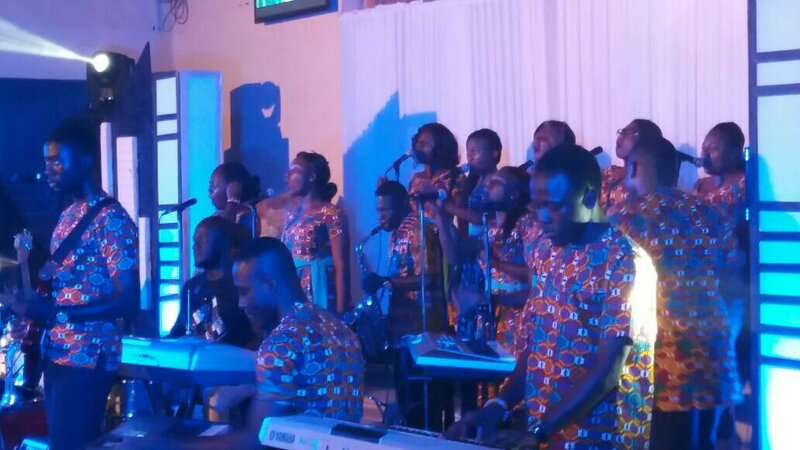 The other members of the ministry are Mimi, Philomena, Nathaniel, Christabel, Maxwell and Eben. In time we may be able to add their photos and greetings also. And some more photos to enjoy. If you feel the Lord’s prompting to support Daniel and Impact Worshippers Inc. then please get in touch with me today. Lack of finances is currently limiting what the ministry is able to do. They are praying for provision of instruments as they don’t yet have their own but have been using instruments at churches where they minister. And they are praying for rehearsal space as space to perhaps also set up and store the instruments. Rehearsal space in particular allows them to learn new songs. We believe the group is also led by the Lord to minister in other countries especially Australia in the near future and we look forward to building a support base and network for them to come here to bless us and to be blessed. If you desire to link in with us all or to sow into Impact Worshippers, message us here via my contact page. And thank you from deep in my heart for caring enough to read this. You may like to take a moment to bless the Impact team in Ghana.